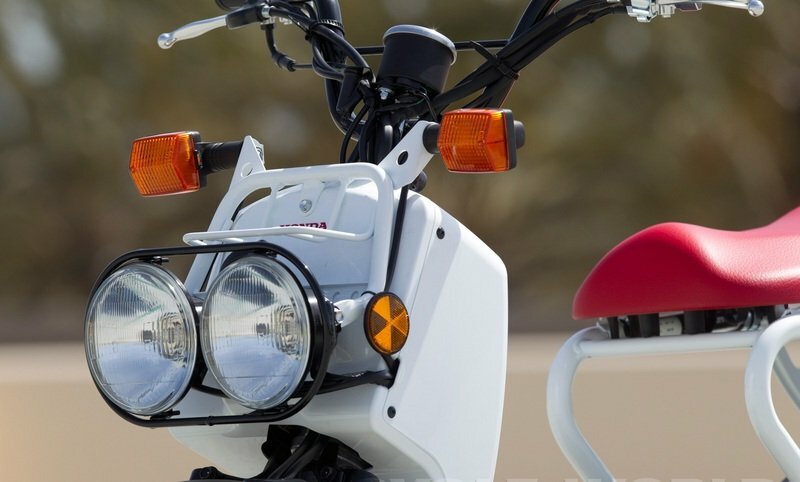 The Honda Ruckus will not wow you when it comes to modern-day design aesthetics, but the retro look will certainly have its share of admirers. 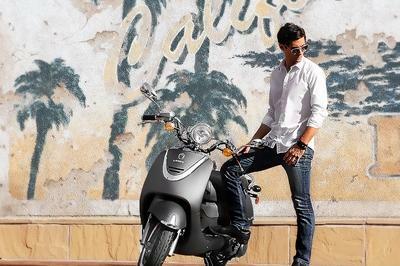 The Ruckus is a scooter from Honda that sets a new standard for cool; you can take many benefits from it because it’s so agile, user-friendly, and easy to park. That’s design of the Ruckus is ’unique.’ From the bare-bones frame to the double headlamps, the low seat and the wide tires, the Ruckus will definitely cause a scene wherever it goes. 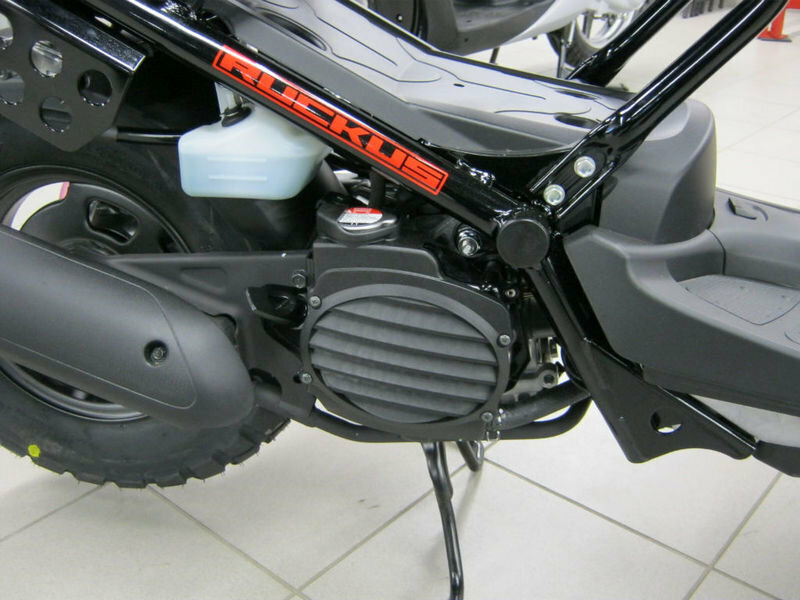 More than just its design, the Ruckus also carries an impressive powertrain set-up: a 49 cc four-stroke engine that can run for hours on very little gas along with the engine’s strong low-end torque and the V-Matic automatic transmission. 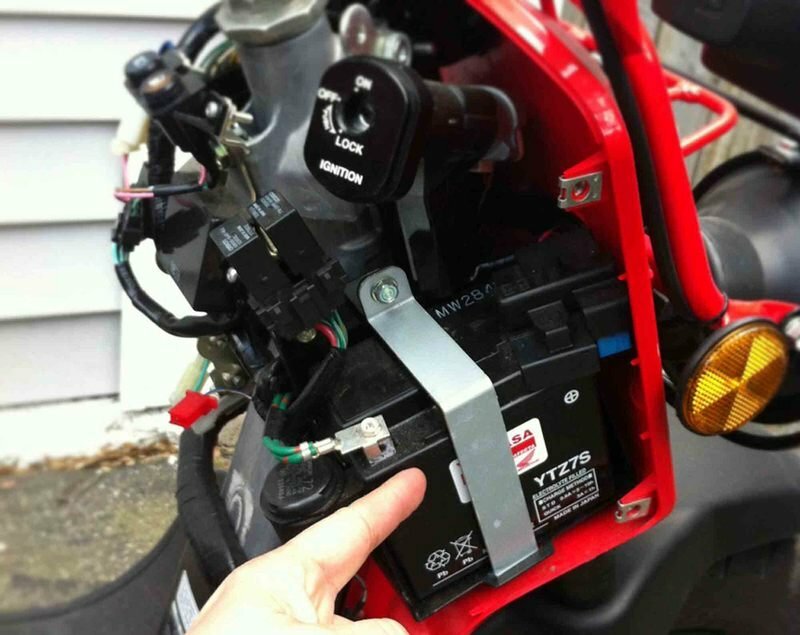 Furthermore, the electric starter offers you faster get-up-and-go. When you wish for discovering some out-of-the-way places, the oversize deep-tread tires will help you. Combining a minimalist design with an impressive engine, the Honda Ruckus will define your riding experience like no other bike of its stature can. 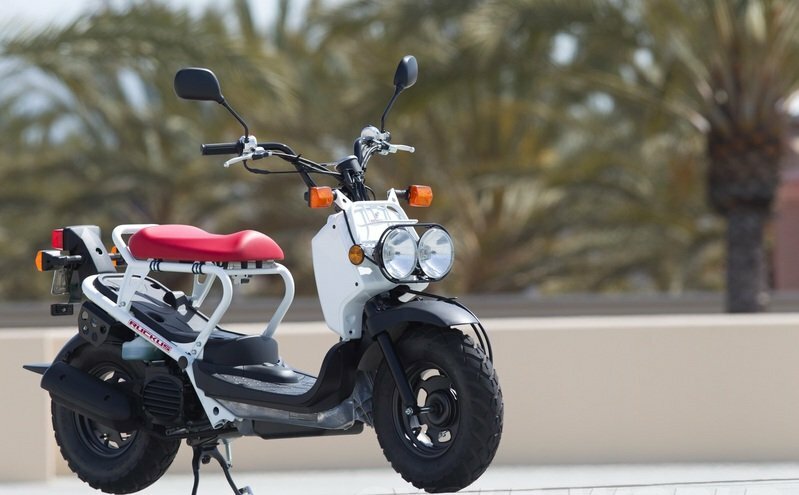 Find out more about the Honda Ruckus after the jump. One thing is sure about the Ruckus: wherever it goes, it causes a scene. That’s because the design is so unique, with wide tires, a bare-bones frame and double headlamps. Underneath it all lies a thrifty 49cc engine that gets you wherever you need to go, without guzzling gas. A V-matic® automatic transmission offers seamless power in and out of traffic. 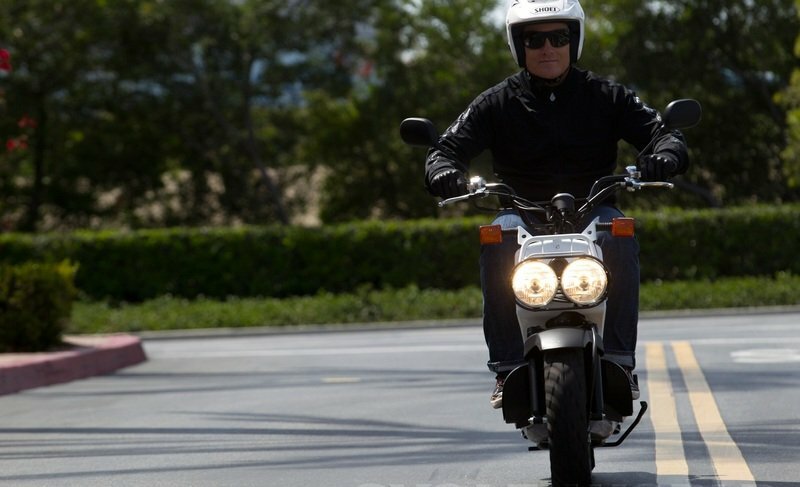 And an electric starter gives you faster get-up-and-go. 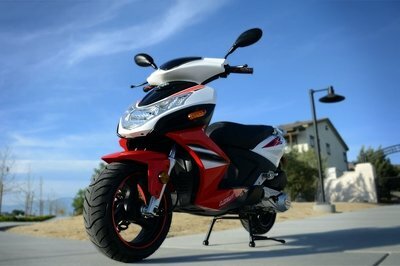 Add in our legendary reliability, and the Honda Ruckus is as dependable as it is fun. You can’t judge a Ruckus by its cover. That’s because it doesn’t have one. Instead, we gave the Ruckus a minimalist design for that urban-warrior look. Thanks to a liquid-cooled, single-cylinder 49cc engine, the Ruckus gives you all the power you need for local trips or city riding. Get around on a little gas. We’re not kidding. 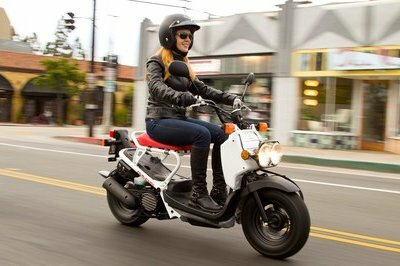 With the Ruckus, you’ll spend less time filling up and more riding around town. The Ruckus one of a kind style has this scooter standing out from anything else on the road, seriously. At first glance, it’s hard not to notice the dual headlights. Its oversize tires offer plenty of road grip and handle the rough pavement with ease. 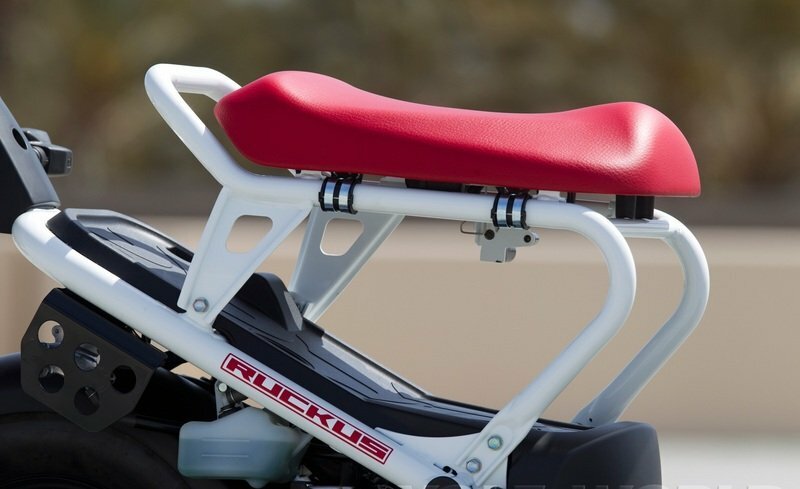 And its low seat and step-through design makes the Ruckus great for riders of any size. Turn the key, press the button, and go. Getting started on the Ruckus is that simple. An automatic choke makes getting started in cold weather a snap, too. What you see is what you get. With its minimal bodywork and rugged overall style, nothing on two wheels or four looks like a Ruckus. Our V-Matic automatic transmission means you’ll never worry about using a clutch or shifting gears - not even into park or neutral. 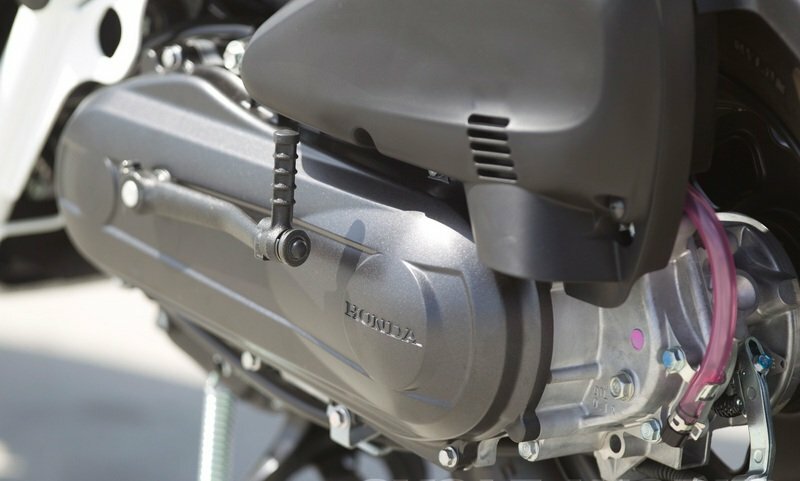 The Ruckus’ liquid-cooled engine offers exactly what you’d expect from a Honda: Power, reliability, and great fuel economy. Miles Per Gallon 114 MPG - Honda’s fuel economy estimates are based on EPA exhaust emission measurement test procedures and are intended for comparison purposes only. Your actual mileage will vary depending on how you ride, how you maintain your vehicle, weather, road conditions, tire pressure, installation of accessories, cargo, rider and passenger weight, and other factors. 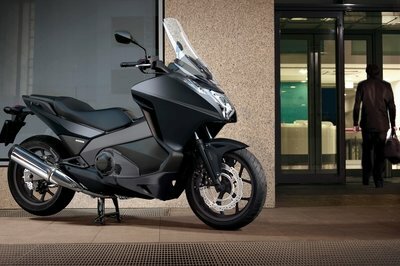 Description Transferable, unlimited-mileage limited warranty; extended coverage available with a Honda Protection Plan. Totalmotorcycle ---- "One thing is sure about the Ruckus: wherever it goes, it causes a scene. That’s because the design is so unique, with wide tires, a bare-bones frame and double headlamps"
Bikez ---- "One thing is sure about the Ruckus: wherever it goes, it causes a scene. That’s because the design is so unique, with wide tires, a bare-bones frame and double headlamps. Underneath it all lies a thrifty 49cc engine that gets you wherever you need to go, without guzzling gas"